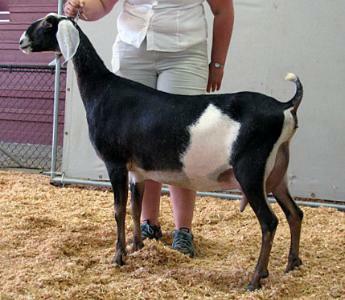 Tule is very similar to her dam Tansy. 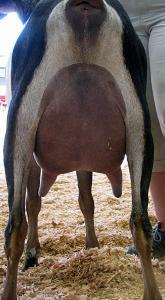 She is very correct with a deep wedge shape, and strong dairy strength. 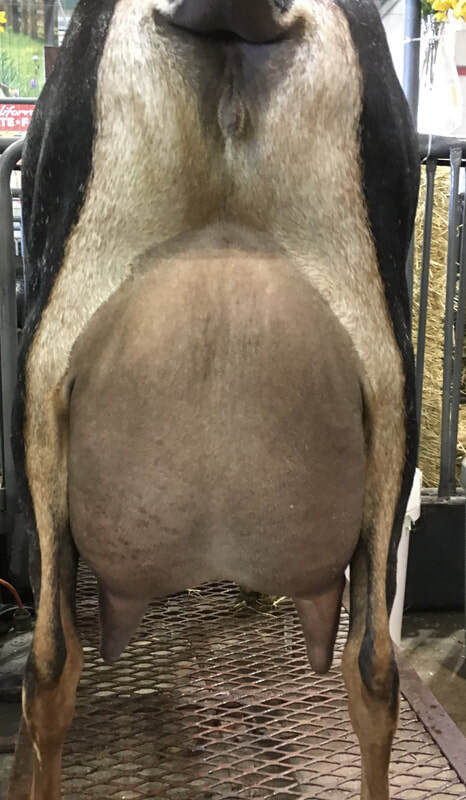 Her udder while similar to Tansy's is actually a huge improvement in height and width to the rear, treat placement and medial support. 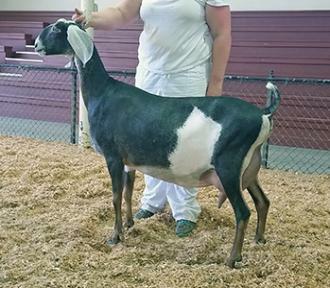 Tule got her 1st championship leg this year going champion in one ring at the REDGA Memorial show. 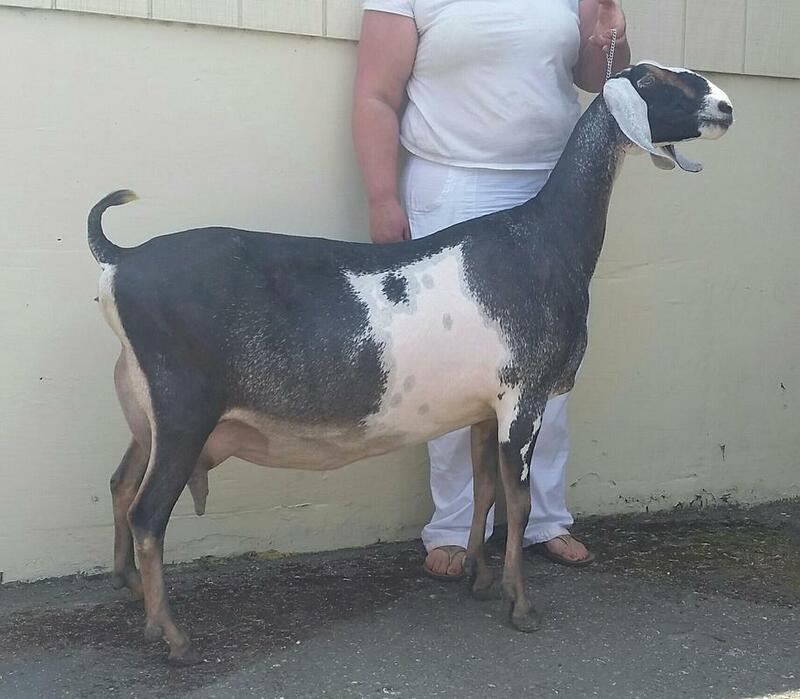 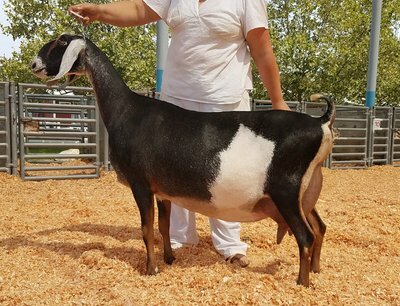 She was also part of our 1st Place Get of Sire at the 2017 California State Fair INBA Nubian Specialty.